The Volga Group has acquired a 50% stake in Sukhodol LLC, which is constructing a new bulk terminal in Sukhodol Bay in the Primorsky region in Russia's Far East. Once it is completed the terminal is expected to have a capacity of 20 million tpa. The project will be implemented with the SDS Holding Co. 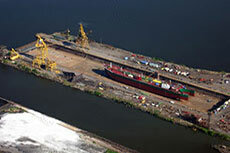 The bulk terminal will be used for coal exports to Russia's Asian-Pacific markets, such as Korea, India, China and Japan. Construction of the first stage is scheduled to be completed by 2016. Construction of stages 2 and 3 is scheduled to take place between 2019 and 2021. "Construction of the bulk terminal in the Primorsky region will significantly enhance Volga Group's position in the logistics and infrastructure sector with a new export route," commented Chlodwig Reuter, chairman of Volga Group's board of directors. 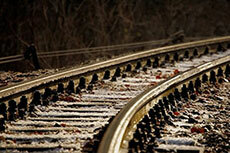 Pakistan Railways and the Punjab government have met to review coal transportation in the province. 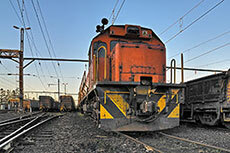 China aims to increase its railway coal haulage capacity to 3 billion tpa by 2020. The Gateway Pacific Terminal has lost the financial backing of 49% shareholder Goldman Sachs.